AT 9.15am October 21, 1966, a disaster struck a small Welsh mining community which would devastate the village for a generation. Friday will mark the 50th anniversary of the Aberfan disaster in South Wales, Britain’s worst landslide disaster in which 116 children and 28 adults were killed. 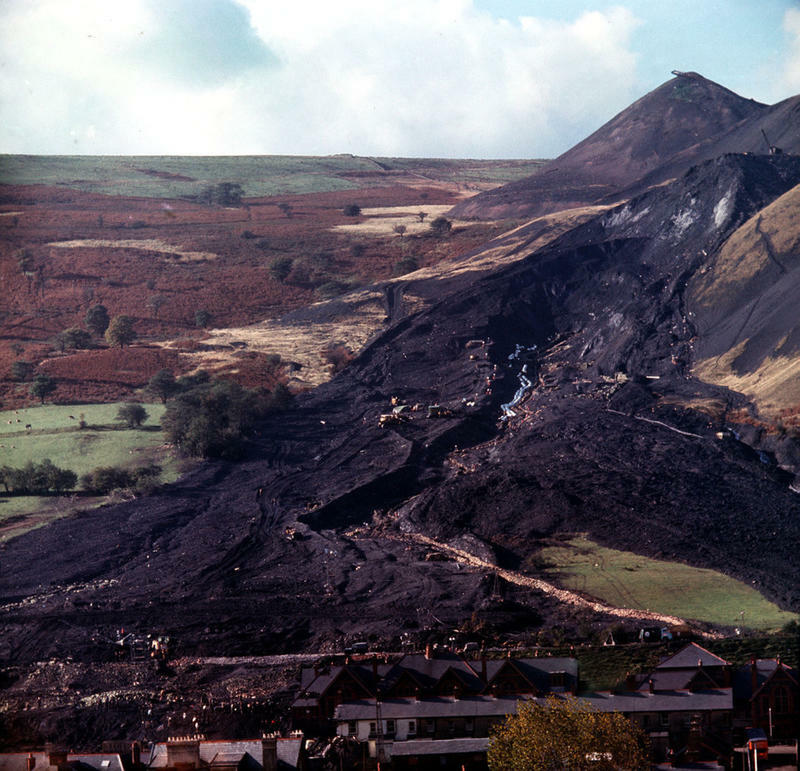 The moving mountain of coal sludge after the disaster at Aberfan when the coal tip avalanched through the Pantglas Junior School. October 27, 1966. 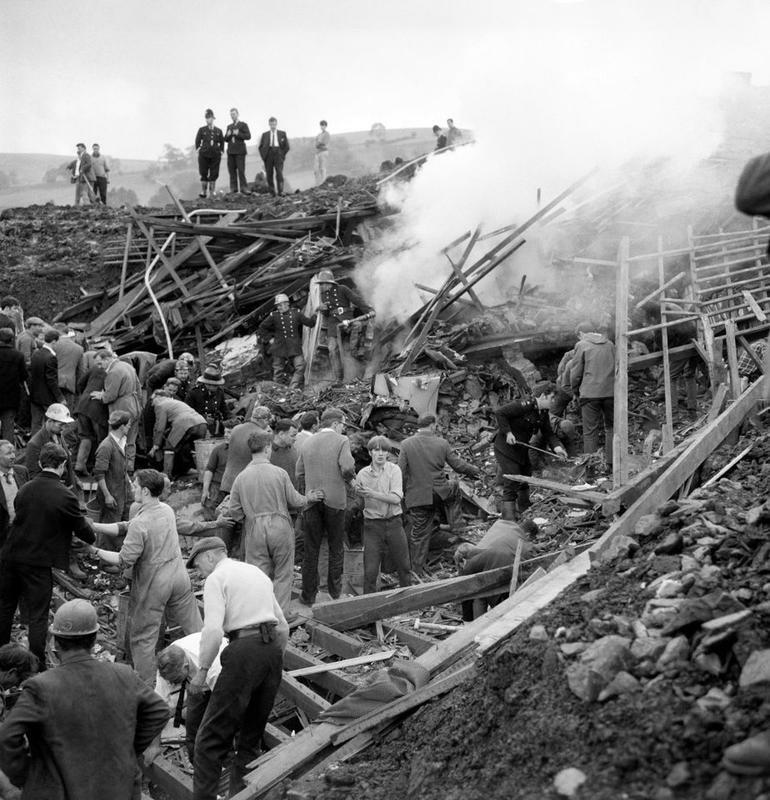 Rescue workers tear into the mud and rubble burying the ruins of one of a row of seven houses which were engulfed by a moving mountain of coal slurry at Aberfan, near Merthyr Tydfil, Glamorganshire, Wales.October 21, 1966. More than 150,000 tonnes of thick black coal, shale and water engulfed the village, wiping out most of the pupils at Pantglas Junior School. The incident was a national tragedy which prompted visits from the Queen and the Prime Minister along with donations from around the world. How did the tragedy happen, how was it allowed to occur and what happened afterwards? A year before the tragedy unfolded, two mothers had presented a petition to Pantglas headmistress Ann Jennings about flooding – which she then passed on to the local council. And in 1964, a local councillor – Gwyneth Williams – had said that if tip were to move suddenly it could threaten the whole school. However, the warnings were ignored – and the fight for justice afterwards left many in the village feeling even more angry. Like many of the survivors, Friday’s 50th anniversary will bring back painful memories of the disaster. Jeff Edwards, who was the last child to be brought out of Pantglas Primary School alive, said he has been plagued by nightmares over the years. Despite an in-depth tribunal, which cited the disaster had been caused by a “bungling ineptitude” by the Coal Board, no one was ever punished. And insult to injury was to follow when a protracted row over the cost of removing Tip Number Seven saw scared villagers, keen for the tragedy not to happen again, left little choice but to pay out £150,000 from a disaster fund. 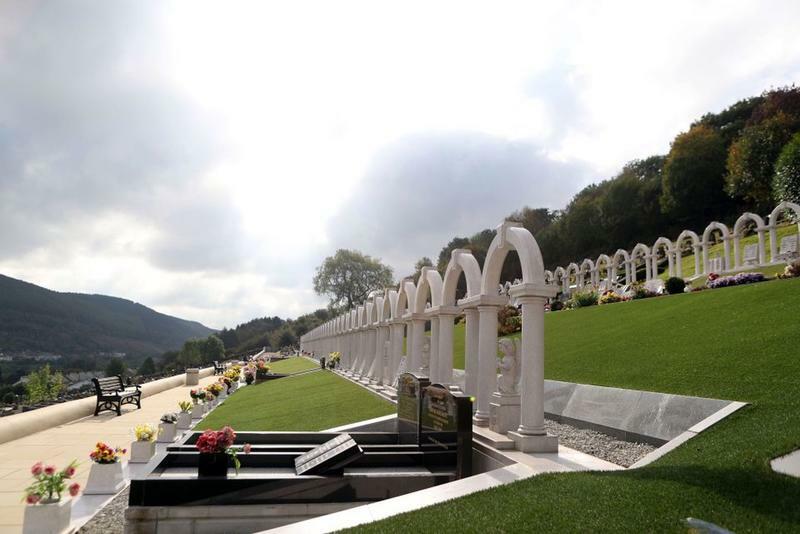 The money was eventually repaid in 1997 – and the Welsh government went one step further 10 years on by donating £1.5 million to the Aberfan Memorial Charity. 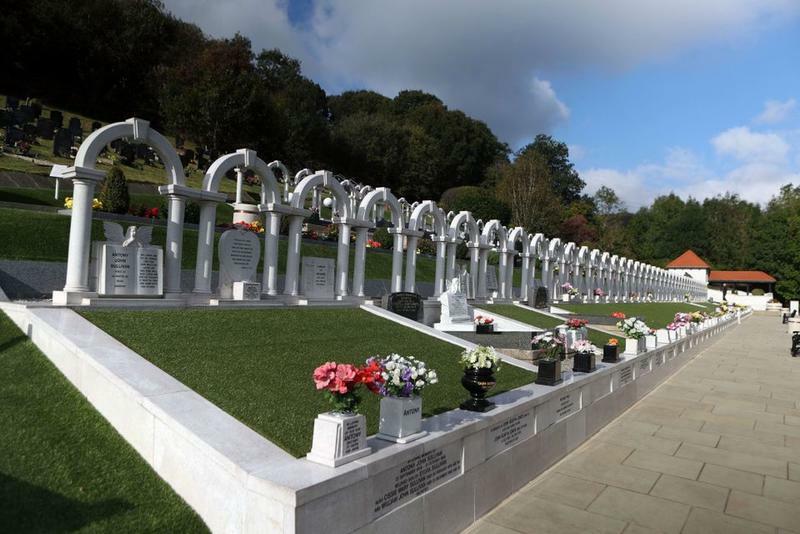 The graves of the victims of the Aberfan disaster in the village's cemetery in Wales, as the 50th anniversary of the tragedy approaches on Friday 21st October. Aberfan almost lost an entire generation with the devastation wrought by the avoidable tragedy. But while time has healed some, but not all of the scars, the events of that day have not been forgotten in Wales. On Friday, the Welsh Assembly will fly its flags at half mast as a mark of respect to those left devastated by the disaster. And at 9.15am people will observe a minute’s silence.